As our societies have become modern and more aware about the social issues; they want to lead sustainable lifestyles being environmentally cautious and thereby, they have started using eco friendly household products like eco friendly water bottles etc. so that they can contribute their shares towards preserving the environment they live in. The industry research report titled, “Global Eco Friendly Bottles Industry Situation and Prospects Research report” is a professional and comprehensive study on the recent trends of the Eco Friendly Bottles industry. It primarily aims at the core regions which comprises of continents namely- Europe, North America, and Asia and the key countries being United States, Germany, China and Japan. An in-depth analysis of the industry is carried out in this report with the integrity of logic and totality of contents. It also does not fail to provide a basic outlay of the industry with its specific definitions, classifications, applications and industry chain structures along with market analysis for international market including development history, competitive landscape analysis, and major regions’ development status. The report discusses all the relevant development policies and plans along with manufacturing processes and cost structures and majorly focuses at leading global industry players with data like: company profiles, product picture and specification, capacity, production, price, cost, revenue and contact information. The key players in the global eco friendly bottles market namely include EcoXpac A/S, One Green Bottle, Earthlust, Ecologic Brands Inc., SKS Bottle and Packaging Inc., Cascade Designs Inc., Pachamama, and Pepsi-Cola Metropolitan Bottling Company. Recently, an amplifying support for environmentalism among the global masses has been observed which has further led to an increase in the adoption of eco friendly options in a variety of household appliances. However, still there is a lack of environmental awareness in the developing countries but this scenario is all set to improve in the coming years leading to a holistic growth and development of the global eco friendly bottles industry. Hence, the global eco friendly bottles market is exhibited to record a robust CAGR in the coming years and is expected to register around USD 3.7 billion by 2022. It has been discovered that polylactic acid (PLA) is highly likely to supersede the global eco friendly bottles market in future because of the convenience of its use in numerous application sectors. Therefore, the polylactic acid market is anticipated to showcase around 8% CAGR over the period 2017-2022 thereby accounting for more than 35% of the global eco friendly bottles market. Moreover, even the bio-derived polyethylene is anticipated to play a significant role in the development of this market in the years to proceed by offering newer variants of eco friendly mixtures that also do not cost much so that demand for the same remains stable or increases throughout. 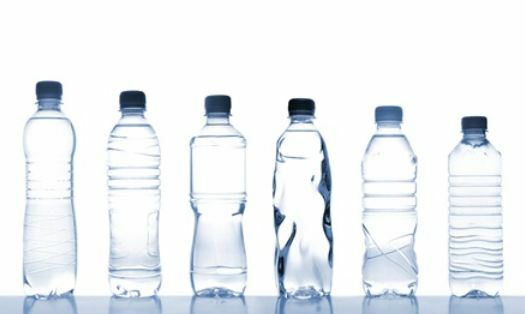 Geographically, North America has been the major contributor to the global eco friendly bottles market and is further projected to record a valuation of more than USD 1.1 billion by 2022 from a valuation of near about USD 617.2 million in 2017. Also, this market in Europe is forecasted to maintain its position and persist being an important contributor to the global market in the coming years. The major factor driving growth in the industry is witnessed as the concept of “sustainable development” of packaging which is being given utmost priority nowadays. It is basically considered as a pressing necessity ecologically which will definitely help the eco friendly bottles industry generate massive revenues in the future globally. Amidst the growing economic, institutional and lobbying pressures, the major manufacturers in the industry are trying their level best to ensure their endurance by embedding sustainability systems into their business models in an optimum manner so that the demand for eco friendly products keeps on rising year after year as and when the consumers come across more variety of eco friendly products than the ones they traditionally used. Thus, the global eco friendly bottles market is all set to relish success in the coming years owing to increasing demands coupled with increasing social and environmental awareness amongst people.